This thread is dedicated to Margareta Eiriksdatter, a Norwegian princess who was designated successor to her maternal grandfather, King Alexander III of Scotland. Margaret was the daughter of King Eric II of Norway and Margaret of Scotland, and through her mother granddaughter of King Alexander III of Scotland. Her grandfather outlived all of his sons and he had no brother either, so the king signed a treaty which included a provision for the children of Margaret and Eric to succeed to the Kingdom of Scotland. When the treaty was signed, King Alexander III had only one son left, also named Alexander. "If it happens that the king of Scotland dies without a lawful son, and any of his sons does not leave lawful issue and Margaret has children by the king of Norway, she and her children shall succeed to the king of Scotland ... or she, even if she is without children, according to Scottish law and custom." In the early months of 1283, King Eric II and Queen Margaret of Norway got a daughter - Margaret, known as the "Maid of Norway" in Scottish history. The queen died shortly after the birth. Shortly after her mother's death, the little Margaret's uncle Alexander also passed away leaving no issue by his wife, Margaret of Flanders (so many Margarets and Alexanders! ). His death made Margaret the heir presumptive. On 5 February 1284, a treaty was signed which recognized the Maid of Norway as "the right lady and heir of Scotland". Her grandfather married again - a young French noblewoman, Yolande de Dreux, became his seond wife. When King Alexander III died on 19 March 1286, Queen Yolande was pregnant. The child, regardless of gender, would've became sovereign, because the treaty favoured proximity of blood for female heirs (basically, a daughter is closer than a granddaughter, even if the granddaughter's mother is older than the daughter). However, she either miscarried or gave birth to a stilborn child, which led to the Maid of Norway being proclaimed Queen of Scots. King Edward I of England, the Guardians and Margaret's father, King Eric II of Norway, wanted Margaret to marry the Prince of Wales (who would later become Edward II of England), in order to unite the crowns of England and Scotland. In 1290, the Maid of Norway began her journey to the kingdom whose crown she inherited. However, the 7-year-old queen died in the Orkney Islands late September or early October of 1290. She never set foot in Scotland and she was never crowned Queen of Scots. She is usually included in the lists of Scottish monarchs, but some lists omit her. 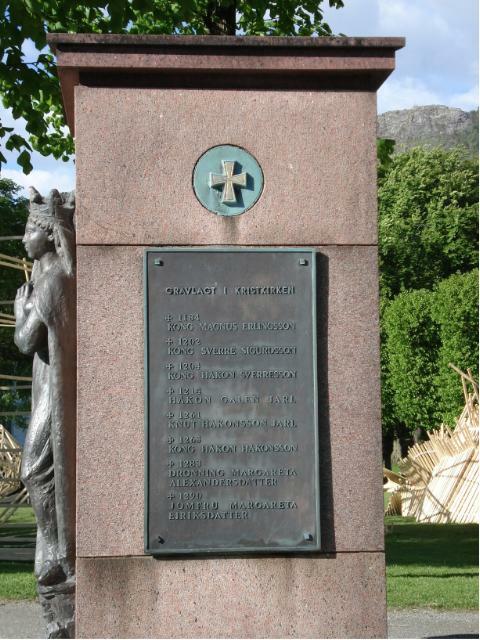 In 1300, a woman arrived at Bergen, Norway. She claimed to be Margaret, the rightful sovereign of Scotland. Eric II's brother and successor, Haakon V, had her executed in 1301. It's amazing how much this little girl could have changed the British history. Had she lived, England and Scotland would have united in the 14th century - 300 years before James VI of Scotland became James I of England. I know, the entire course of time would be changed if only one little detail was changed, but still - she was just a little girl and yet a queen! Very interesting story. Was there any possibility that her death might have been murder by those who did not want to see her crowned queen? In September of 1290 Margaret sailed from Norway. She died of sea sickness in or near the Orkneys during the voyage. Truly a misfortune for a girl so young. King Alexander III of Scotland's document recognized his granddaughter Margaret as "domina and right heir". I had never heard the word domina used before for a heir or heiress.